iBouquiniste is an ebook reader like none you've seen before. This app supports FB2, EPUB, MOBI, PDF, DJVU, CBR, CBZ and TXT formats and offers adjustable fonts, paragraph indents, paper type and more. iBouquiniste gives you a reading experience that's as close as you can get to reading a real book, and it even lets you share your favorite books via email. Click "...More" to learn why you should download this App today! Do you love to read? With iBouquiniste you'll take your favorite books wherever you go! iPad and iPhone book readers are a great innovation for busy book lovers, but they're still evolving. Some readers are so cluttered with settings and controls that you can barely read the text, while others are bare bones "What you see is what you get" style apps. iBouquiniste is a completely different reading experience. The interface is clean and easy to use. The only controls on the screen are the ones you absolutely need, but you have the control that you want to display your books exactly the way you want them. iBouquiniste supports FB2 formatted books, which is how most books are formatted. Other reader apps still don't do that. If you want an even more personal reading experience, that's not a problem. You control paragraph indentation, font face and size, margins and even the type of paper for the pages in your book. Where some apps offer sepia tones, iBouquiniste can display your book on realistic paper, with actual page numbers for each page! Tired of digging through your library to find a specific book? 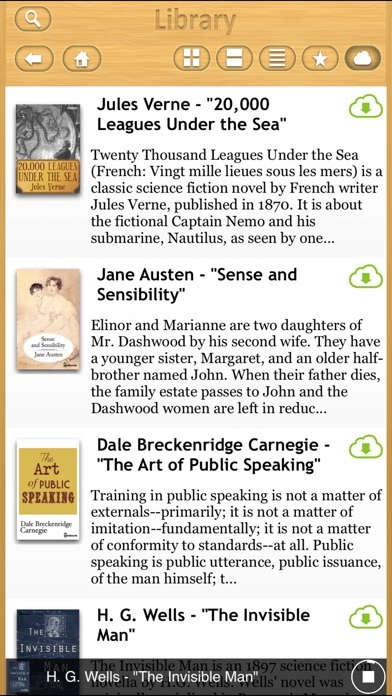 This app gives you several ways to find any book in your collection with just a few taps. Like other, similar apps, iBouquiniste includes a complete table of contents that lists every book you own. This is a great feature if you're not sure what you want to read; but if you have a lot of books, you might spend more time looking for something to read than actually reading! 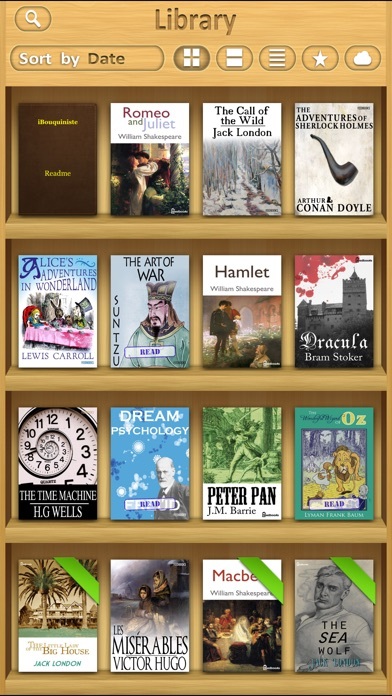 That's why this app also features a unique Author's Library and a Favorites Library. If you're in the mood to read a certain book from a particular novelist, you'll quickly find what you're looking for in the Author's Library. Each writer has their own shelf with all of their works that are in your collection. Have you ever put down a book with the idea that you would come back and finish it after you've read something else? Who hasn't done that? The problem is that when you're ready to go back and finish it, you sometimes can't remember the title of the book, or even the name of the author. Now that you have iBouquiniste, all you need to do is to sort your books with "Recent". 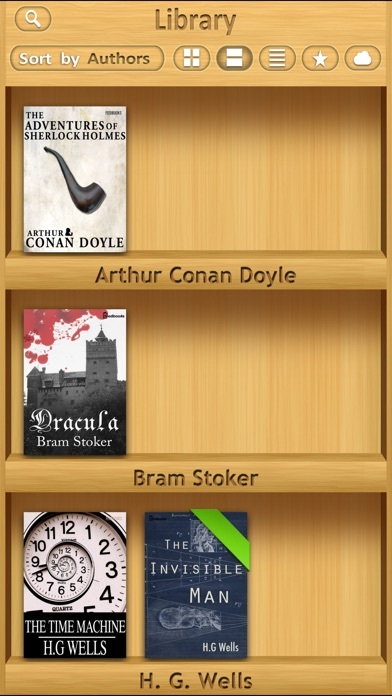 This feature narrows your search by displaying the books in the order you opened them. Now you can get back to that unfinished book within just a few seconds of starting your search. Once you've finished it, why not share that novel with a friend? It's as easy as sending an email right from the app! Don't let your book reader decide how your books should look. Spend less time searching and more time reading. Download iBouquiniste now and have all of your books at your fingertips.